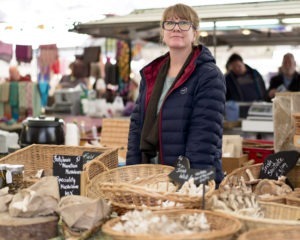 Lucy Deegan of Ballyhoura Mountain Mushrooms pictured at Limerick Milk Market. 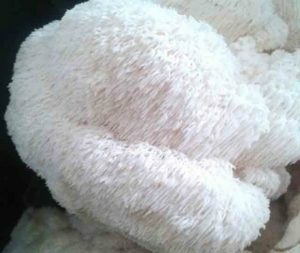 Based in the Ballyhoura Mountains which border the counties of Cork, Limerick and Tipperary, Ballyhoura Mountain Mushrooms is an award-winning company run by Dr Lucy Deegan and Mark Cribbin. Whether supplying Michelin star restaurants like Chapter One in Dublin, small cafes or the home cook, Lucy and Mark have a very simple aim – to grow and supply the finest possible quality speciality mushrooms and mushroom products. Both Lucy and Mark come from a science background. Lucy began growing mushrooms as a hobby when studying for her PHD in Microbiology. Mark is a food scientist who also had a passion for growing his own food. Together Lucy, A Glaswegian, and Mark, a Dubliner, have an alchemy which has proven golden for Irish mushroom consumers. “I finished my PHD in Microbiology in 2007. It was very intense – we were working on small proteins, essentially antibiotics, changing the structure so we could understand how we could improve the function of them, potentially to use against micro-organisms such as MRSA. After my PhD my Post Doc involved developing vaccines. Meanwhile, I was growing my own vegetables and mushrooms and Mark, being a food scientist working in the food industry, was always interested in growing food. So the business grew out of that hobby. It was an escape from our day jobs. 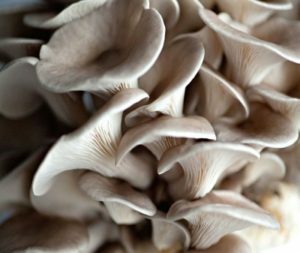 “I was living in Cork during my PhD, and any of the different variety of mushrooms I was looking for were imported, and of very poor quality. 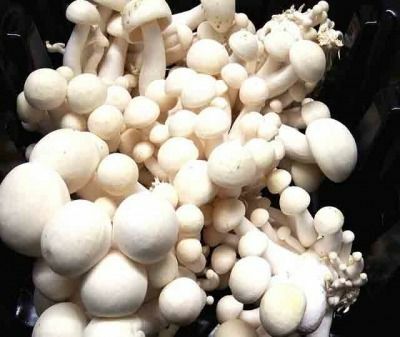 The mushroom market at the time was typically just white cap mushrooms. I wondered why nobody was growing other varieties so we wrote a business plan and decided to develop a business. We started in 2011 with a country stall in Mahon Point in Cork,” Lucy said. “We moved to the Milk Market in 2016. We took a different approach which is all about cultivating speciality mushrooms, in addition to the seasonal wild mushrooms and plants we forage mostly in the Ballyhoura Mountains. 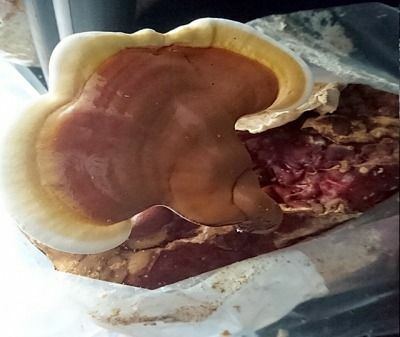 Ballyhoura Mountain Mushrooms operates at the Milk Market, at Mahon Point and in Midleton. “We also produce and continually develop a wide range of products ranging from mushroom oils, vinegars, ketchups, seasonings, dried mushrooms and flower blossom syrups,” Lucy said. 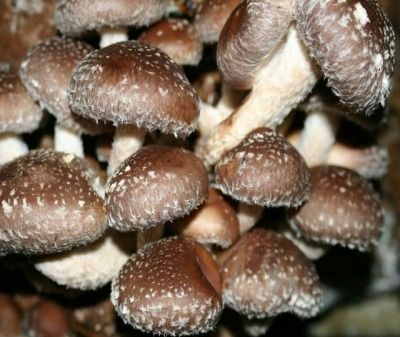 The products are produced using the mushrooms we grow and forage and are inspired by the range of savoury flavours from all the different varieties, from the wild, highly prized, Cep/porcini with its distinctive savoury, woody, smoky flavour to the highly flavoured cultivated varieties of shiitake and hen of the woods. Ballyhoura Mountain Mushrooms has won a number of awards. Their Cep Oil and Mushroom Vinegar won two highly prestigious Great Taste Three Star awards in 2015. They also won a Eurotoques Producer Award 2014 from Ireland’s chefs’ representative body and an Irish Food Writers Guild Producer Award 2014. 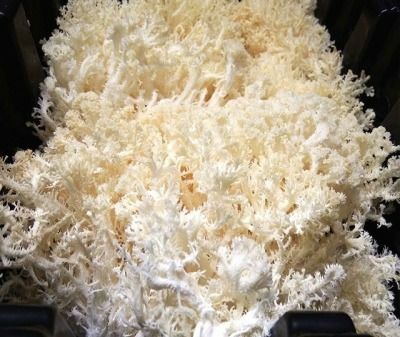 Lucy and Mark now grow in excess of 10 varieties of speciality mushrooms year round including White Beech, Reishi, White Coral Fungus, Shitake, Nameko, various Oyster mushrooms, maitake and and Lions Mane. The mushrooms are all grown in the absence of chemicals or pesticides. You can also buy risotto mixes and soup mixes, as well as Porcini Dust, and Wild Garlic Vinegar, Umami powder, mushroom vinegar, mushroom ketchup, and cep oil. New products for 2018 include: 4 mushroom umami seasoning, mushroom tea, instant veg dashi, risotto meal kit, mushroom salt, super D shiitake and Grade A Ceps/ Porcini.